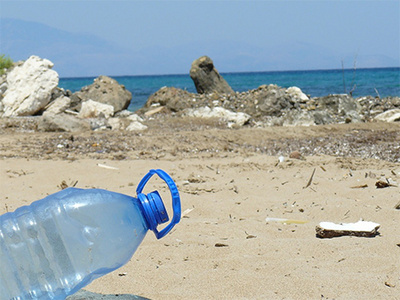 Every year we produce nearly 300 million tons of plastic, half of which is single use. More than 8 million tons of this plastic is dumped into the ocean each year, devastating the environment and the species that live in this complex and delicate ecosystem. With the introduction of plastic, a cheap and versatile material, we have adopted a disposable lifestyle. In fact, it is estimated that as much as 50 percent of plastic products are used only once before being thrown away. Plastic bags for example, have an average ‘working life’ of 15 minutes. Approximately 500 billion plastic bags are used worldwide annually – that means more than one million bags are used every minute. So where does all this plastic go? Some of it ends up in landfill, where it releases toxins and fragments during photo-decomposition that pollutes our soil and water; 6.5 percent of it is recycled; 7.7 percent is combusted in waste-to-energy facilities, where it is used to create electricity or heat. The rest of it finds its way into our oceans. When in the ocean, the plastics cause devastating effects to the environment, marine species and even humans. Thousands of sea birds, turtles and marine mammals die every year after ingesting or becoming entangled in plastic. Meanwhile, micro-plastics, which are created in the process of plastic slowly breaking down, enter the food chain. This plastic is often ingested by species of fish that are then consumed by humans. In fact, a recent study found that a quarter of fish in Californian markets contained plastic in their gut. In February, research found more than 30 plastic bags and other plastic waste inside the stomach of a Cuvier’s beaked whale. The whale had been acting strangely off the coast of western Norway, leading scientists to determine that it was sick and needed to be euthanized. A team at the University of Bergen later examined the remains of the animal, finding a large quantity of plastic waste inside its stomach. It is believed that the material had blocked the animal’s intestines, causing extreme pain and malnourishment. Unfortunately, this is not an isolated case. Throughout the months of January and February, a total of 13 sperm whales were found stranded along the North Sea coast of Schleswig-Holstein, Germany. Medical examination found a shocking amount of plastic inside the stomachs of four of the whales. A 13.5-foot-long by 4-feet-long crab fishing net, the remains of a sharp-edged plasticizer and the plastic cover of a car’s engine compartment was found inside one of the whales. While the scientists were unable to determine whether the plastic played a role in the whales washing up on the shore, it is clear that this amount of plastic would damage their overall health. 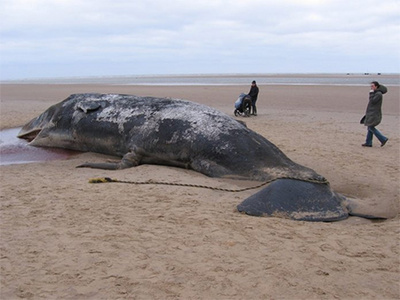 At the beginning of the year, a total of 30 whales washed up on the shores of Germany, France, the Netherlands, Denmark and the UK. These incidents add to the increasing amount of evidence that indicates the severity of the damage that plastic pollution is causing in our oceans.